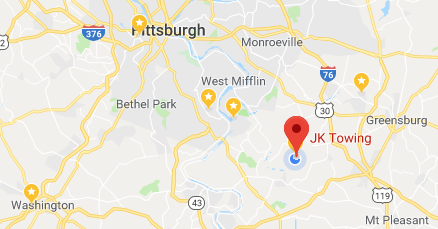 JK Towing is who gets the call after three other companies fail to do the job! You're particular about your automobile... ​we're particular about handling it. We can get you back on the road, whether 2 feet or 2000 feet. Including Specialty Vehicle services for those of you that don't need 4 wheels. Towing, Transport and Roadside Assistance for Fifth​-Wheel, Goose-Neck and Bumper Pull trailers. It's odd how certain tow trucks always show up at accidents but remember ... You have a Choice!